The historical relationship between merchants, acquirers and ISOs was fairly simple — it was often based on bundling payments processing around POS terminals. But a funny thing happened on the way to the digital age: merchants wanted more than just payment processing and gear. They wanted to have an integrated suite of point solutions — like advertising, marketing and loyalty programs — across all of the channels they operated, so that they could offer their customers a better experience in-store. Consequently, acquirers needed to change up their game, too, said AEVI International’s Chief Product Officer Michael Camerling — whose platform was created to help acquirers do just that. “We very simply want to provide an entire [payments] ecosystem with apps, devices and payment all available to acquirers so they can build the right offerings to provide solutions for their customers,” Camerling told Karen Webster on the latest Matchmaker Is In podcast. Camerling said that AEVI recognized the problem merchants, banks and acquirers had keeping up with the many innovations in the market — and that the pace of change only compounded their inability to keep up. 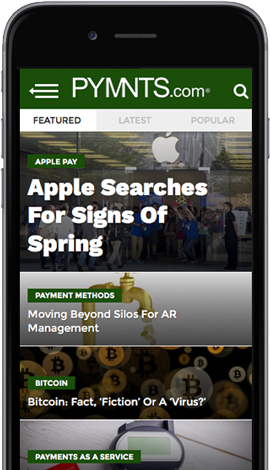 What would, Camerling and AEVI noted, is a payments service pared with apps and services for a new generation of devices. That, he said, would give acquirers the toolkit to build better and fully customized service offerings for their customers. And that meant that AEVI had some building projects of its own to do, namely creating that marketplace ecosystem. Though an app-based ecosystem was its ultimate goal — and the ability for acquirers to access a suite of services and software applications — AEVI’s efforts to ignite its platform started in good old-fashioned hardware. And that fill-up is not a small feat, since it isn’t just a matter of throwing an app marketplace out there and expecting acquirers to fall on their knees with gratitude. All apps are not created equal, and AEVI didn’t just need content, it needed the right content. “The key for us was to have a clearer understanding of the merchants as well. It is very clear acquirers know how to provide payments — but the kind of apps that improve the function of their business and help drive customers to the sale is what merchants need. We knew that the more we knew what those apps were, the faster and better our ability would be to provide services for those acquirers,” Camerling said. Apps, Camerling noted, aren’t a simple collection, a one-size-fits-all. AEVI is in the business of filling a global marketplace, which means it is always looking for relevant apps — apps that apply to the right vertical and apps that will let acquirers offer more tailored merchant services. Though AEVI started out building its own hardware — and, in fact, spent a lot of time and effort doing so — it quickly opened up its platform to other devices as well as third-party app developers. “For AEVI, it was never about the hardware — even though we had to create it to complete our proof of concept. The hardware was the enabler. We want to focus on the content,” Camerling said. He also said that AEVI would be “way too arrogant” to think that its own hardware could carve a big enough chunk out of that market, given how very developed it is. AEVI recognized that for merchant acquirers to compete, they needed choice — meaning specific decisions about what specific bundle of apps for which specific market in which they were working. As for recruiting developers to the platform, AEVI had a natural advantage, Camerling noted, due to early field testing with Commonwealth Bank of Australia that gave the firm an initial roll with many devices in the field — and access to a large pool of eager developers. And, he notes, at base the service remains about offering more choice for acquirers so they can pass on a fuller menu of options to their customers. That isn’t easy work. The marketplace that AEVI offers is a very curated place with some high bars for entry. But the more those app deliver, the more desirable they become to merchants, who then seek more apps on the AEVI marketplace — which drives more developers. Network effects at their best.